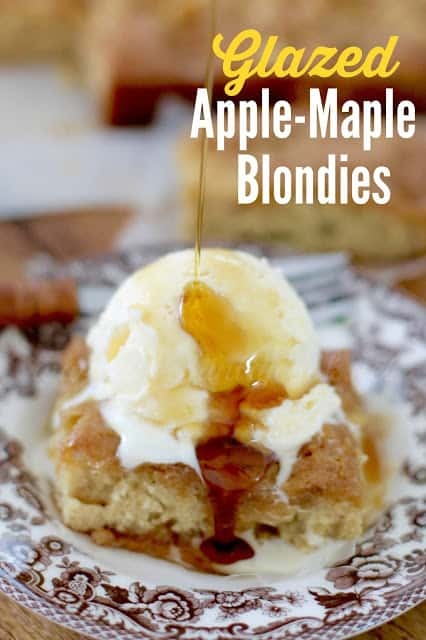 I have a bunch of recipes here on the blog for blondies. They are all just a tad bit different but I love them all! One is a homemade, from scratch recipe. 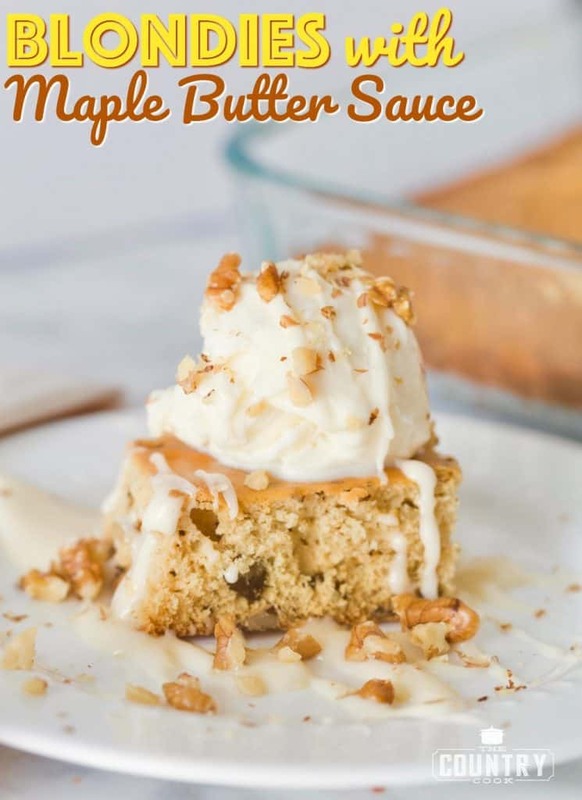 Another is a cake mix-based recipe like this one and has a deliciously easy maple butter sauce to top it with and an apple maple blondie! 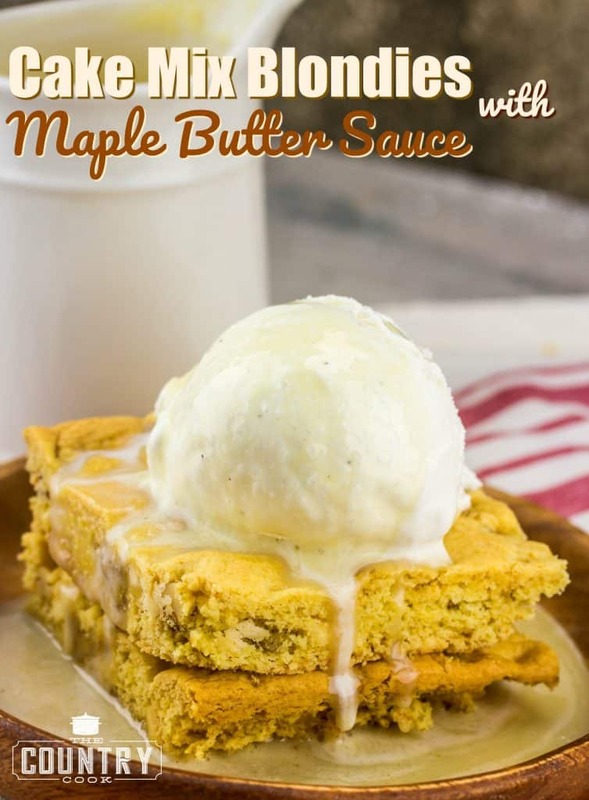 Scroll to the bottom of this post to check out those recipes. 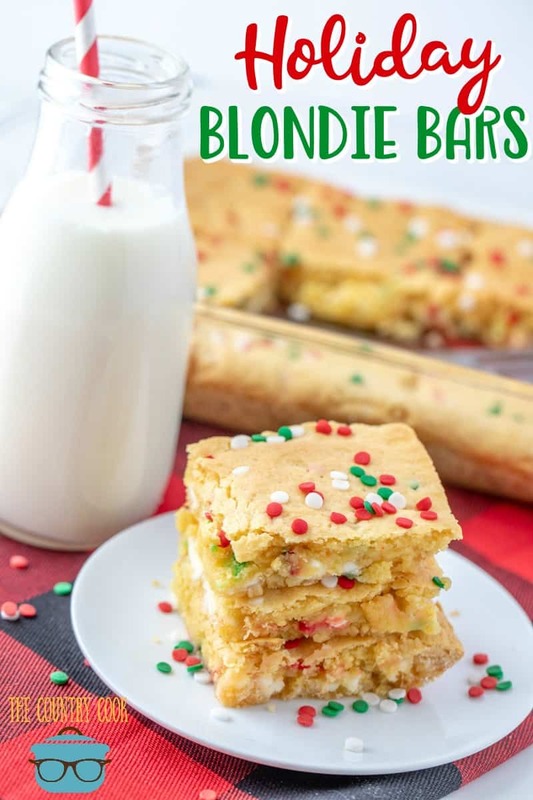 So, I figured, why not a festive, holiday blondie? So, I am using my favorite cake mix blondie base for this one. I changed up the technique a bit and added the white chocolate chips in between two layers of the batter. I think that seemed to work better. 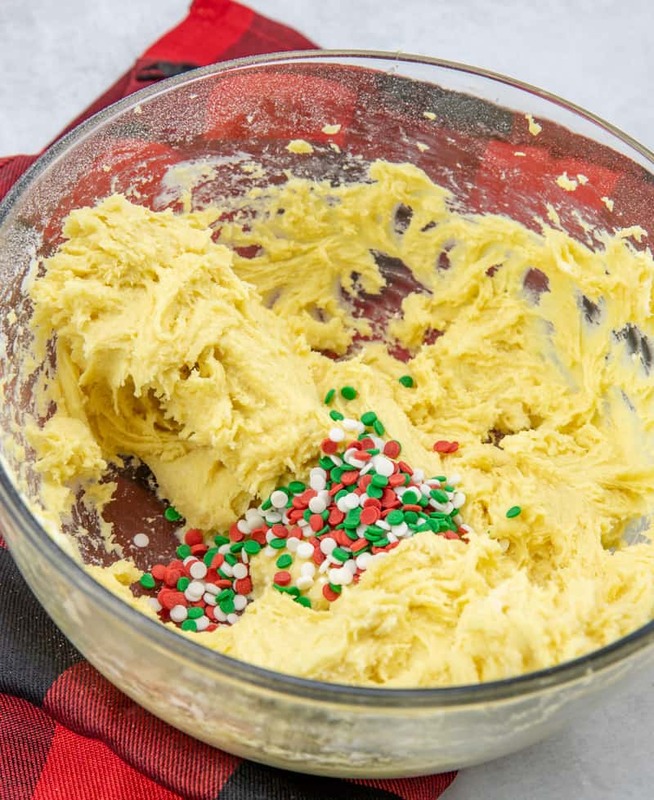 And I added a touch of eggnog to the batter (so good!) but you can substitute milk. 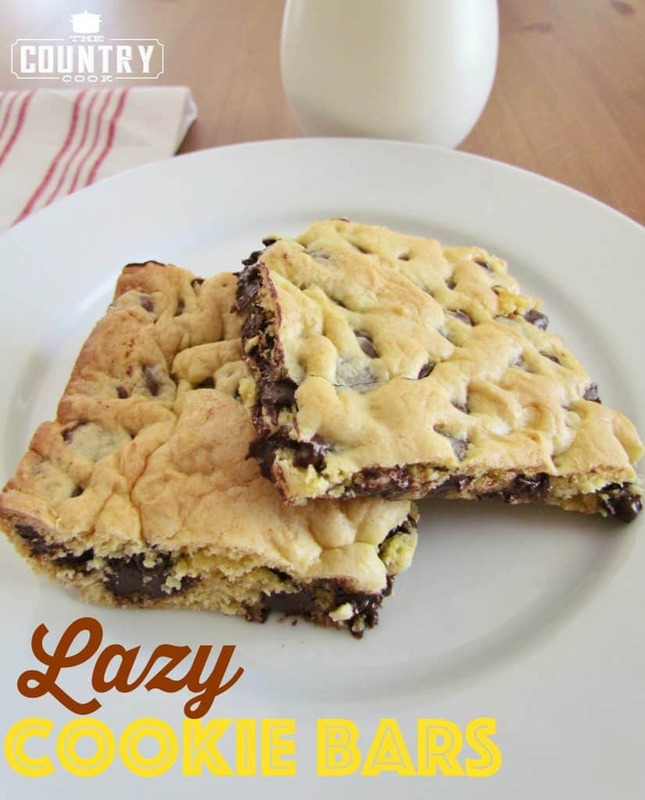 The really great thing about this recipe is how versatile it is. 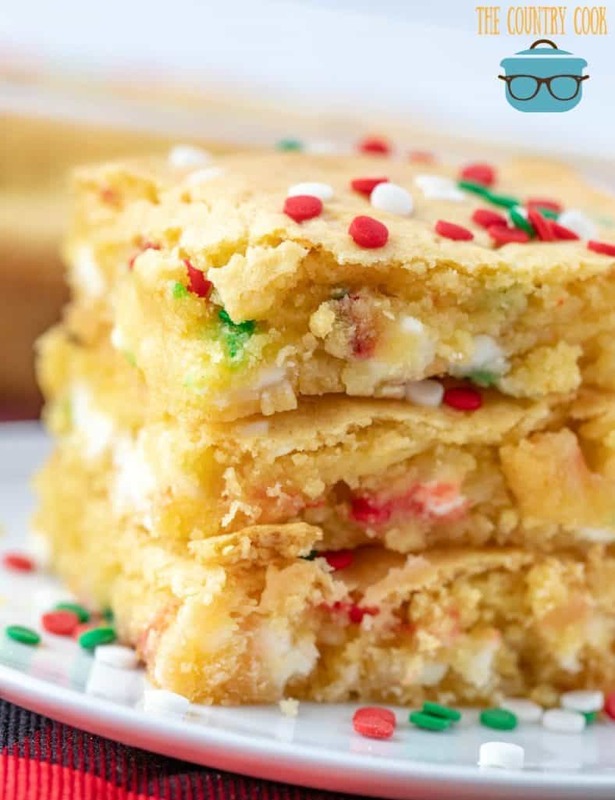 You can use pretty much any combination of cake mix flavor and chocolate chips that you love. And, of course the sprinkles give it just that little extra special touch! 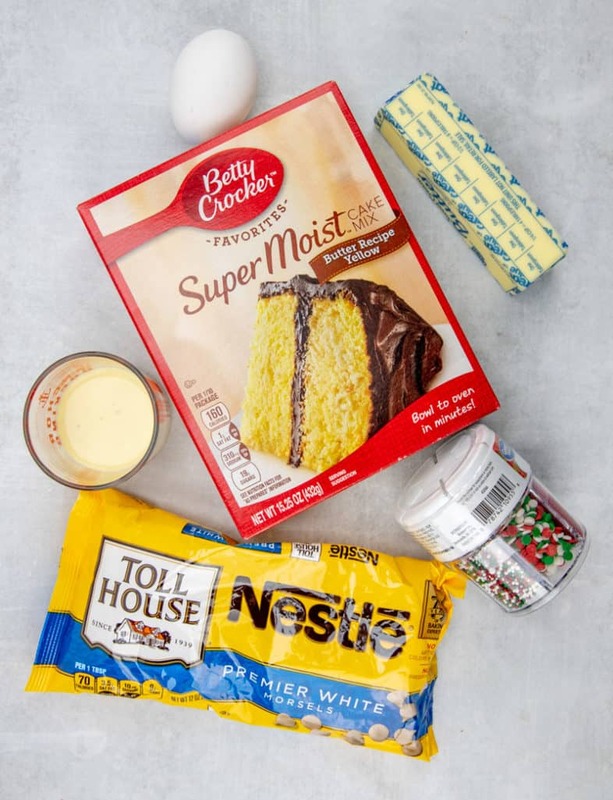 Blend cake mix, egg, butter, and eggnog/milk in a bowl with a blender until evenly mixed. Stir in some sprinkles. 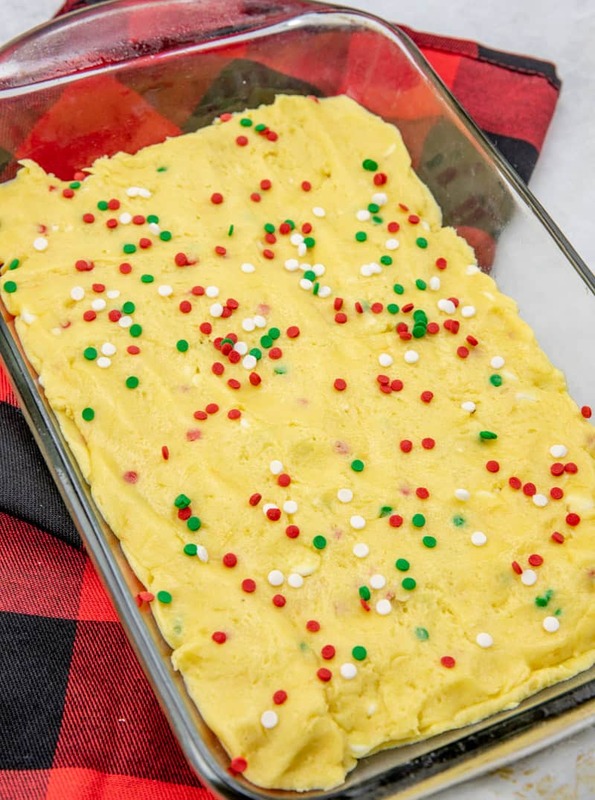 Spray an 11 x 7 baking pan with nonstick, and spread on half of the batter in one even layer. 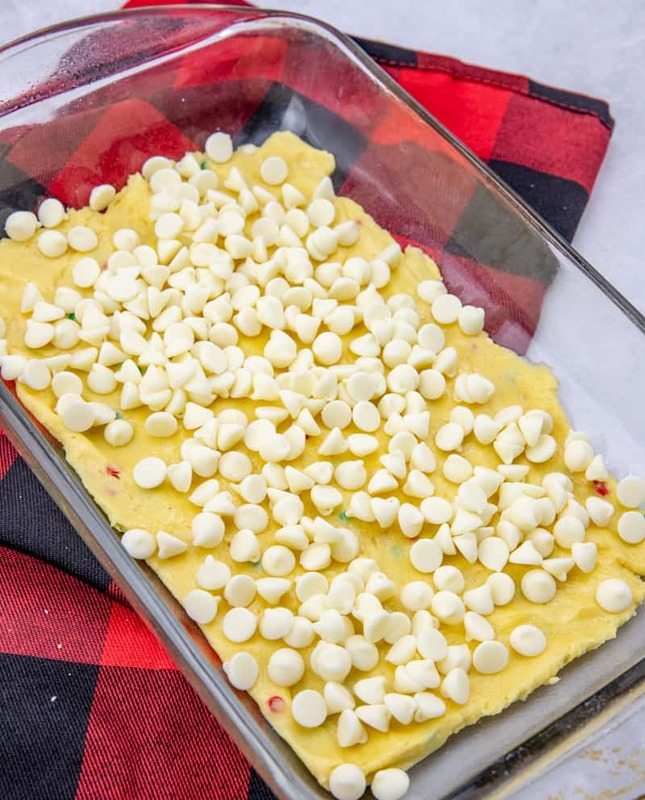 Sprinkle on a layer of white chocolate chips, then spread on the rest of the batter. Add some more sprinkles on top. Bake at 350 degrees for 25 minutes or until your bars are a nice golden color. Once out of the oven, let them cool for a few minutes and cut into squares. 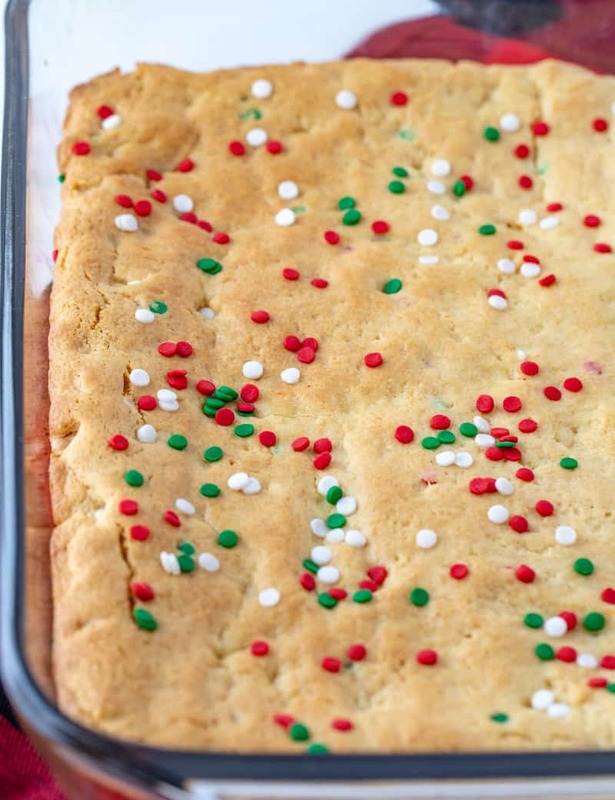 Easy Holiday Blondie Bars really are so simple and yummy! 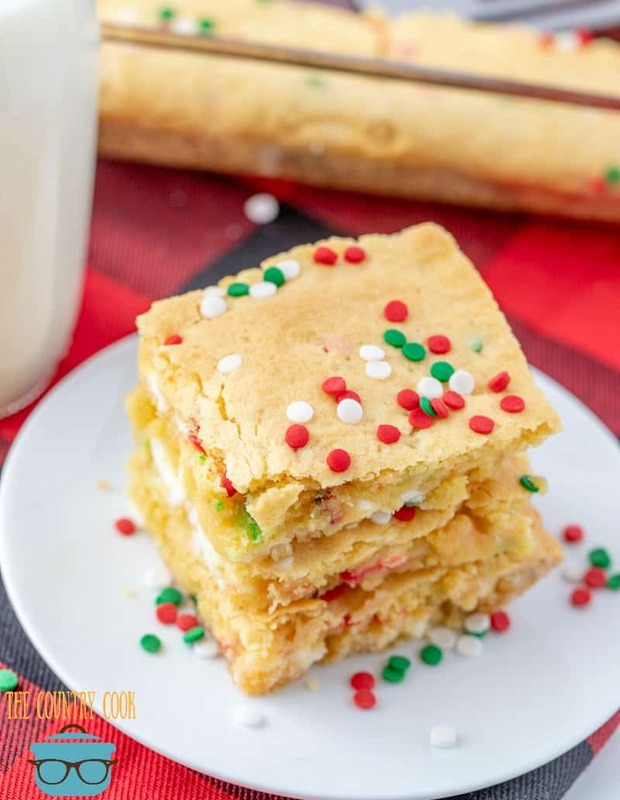 Made with boxed cake mix and eggnog or milk and topped with festive sprinkles! Bake at 350 degrees for 25 minutes or until bars are a golden color. 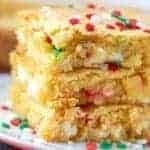 The post Easy Holiday Blondie Bars appeared first on The Country Cook.